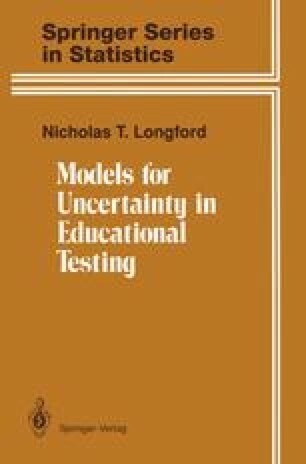 Many educational and licencing tests are used for classifying examinees into a small number of categories, such as ‘satisfactory’, ‘borderline’, and ‘unsatisfactory’. In such tests, each possible response pattern has to be assigned to one of the categories. This task is often simplified by defining a scoring rule for the responses, so that the examinees are ordered on a unidimensional scale. Then it suffices to set the cut scores that separate the categories. When several test forms are used, separate sets of cut scores have to be set for each of them because the forms are likely to have different score distributions.